Lynne Waldeland of Sycamore has played many roles at Northern Illinois University, from creating innovative classes to leading the college as interim executive vice president and provost. Because of her outstanding service and commitment to the best interests of NIU, she has been chosen for the 2018 F.R. Geigle Service Award. Waldeland, a former NIU professor of English and literature classes, was part of a group of female faculty who met in the 1970s to discuss incorporating women’s studies into the curriculum. The group proposed courses focused on women and feminist issues in their departments. As more of these courses were created, they advocated for a women’s studies minor and succeeded after a lot of hard work and several proposals to curriculum committees. To recognize her work for improving the climate for women at the university, she was honored with NIU’s Wilma D. Stricklin Award in 2000. She is also responsible for making film courses part of the English curriculum. She worked with a colleague to introduce film courses in the 1970s, and they developed a film specialization for a master’s degree in the English program so students could teach film in their high school literature courses. She views her greatest challenge as taking on the role of interim executive vice president and provost in 1999, when both the president and the provost announced their retirements. Her previous experience in administration was working for 13 years as assistant provost for academic development and planning, where she had no budget and no one reported to her. “As provost, I found myself suddenly in charge of the entire academic activity of the university, its personnel its budget and its direction, at a time of great change,” said Waldeland, who held the position for three years. She met the challenge by mobilizing the support of the deans and the academic and student affairs staff to keep academics moving forward and by making the university attractive to new leaders. During her role as assistant provost for academic development and planning, she worked with faculty and administration to save the College of Law and several master’s and doctoral programs, which were on the proposed elimination list in 1991 from the Illinois Board of Higher Education. She is also proud of helping NIU departments succeed in getting new programs and helping them make their best case for the quality and importance of existing programs. For her professional accomplishments, she earned the DeKalb Chamber of Commerce Athena Award in 2011 and the Distinguished Faculty Award from the College of Liberal Arts and Sciences in 2015. 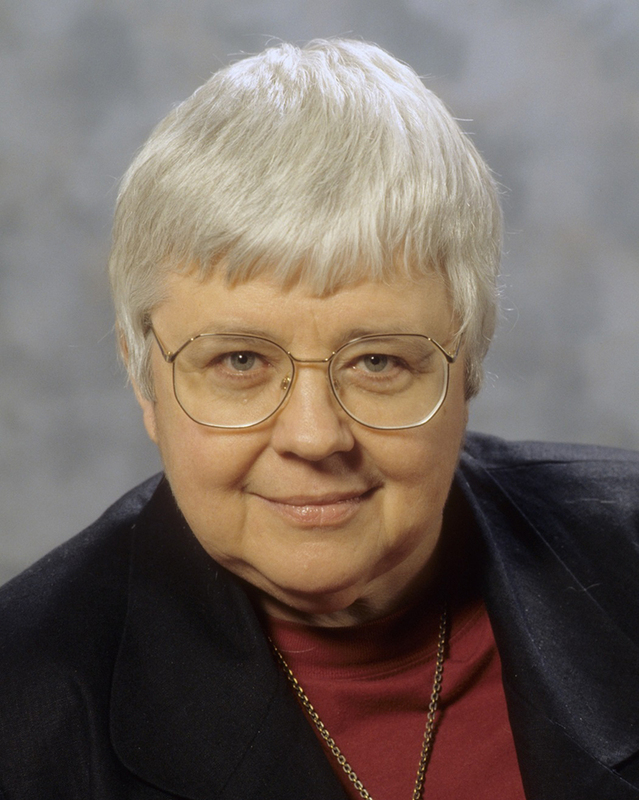 In addition to her professional work, Waldeland has supported NIU as a philanthropist. She created the Lynne Waldeland Scholarship in English for the Department of English to use toward student recruitment. She later created a scholarship in vocal music to honor her voice teacher and an endowment for the NIU choral music program. She also supports other programs at the university, including athletics programs, Friends of the NIU Libraries, Northern Public Radio and building projects. For her philanthropy efforts, she was named Outstanding Philanthropist by the NIU Foundation in 2001. She also believes in giving back to the community. She has served on the board of Tails Humane Society and is involved as a hospice volunteer for Northwestern Medicine Kishwaukee Hospital. Since her retirement in 2001, she has focused on spending time with family and friends, enjoying theater and concerts at NIU and reading.